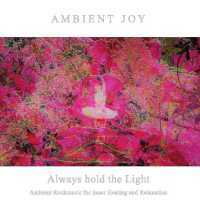 `Always hold the light` is a fine piece of spiritual, joyful, ambient Rockmusic. It awakens one`s inner personal view to deeper soul connections and shifts into a higher, brightfully state of consciousness with spiritual awareness. Haralds heart touching Guitarriffs accompanies the creative ambient keyboardsounds and caresses the warm, expressive voice of Dagmar. Meditative healing Lyrics merges with Dynamism and creates fields of blissful inner silence.